Loss-in-Weight Feeder is a continuous feeding device to measure the material flow by the decrease rate of material in unit time. As measuring flow rate in an approximately static weighing method, it is simple, high precision and practical. It is widely used in power, pharmaceutical, food, chemicals and building materials industries as the measurement equipment for powder material, granule material, and bulk material, giving precise measurement and continuous feeding control to the various components of the material. The control system has an intelligent instrument which is very easy to operate and is stable and reliable. With simple and reliable structure design which prevent material impact during feeding efficiently and ensure excellent material flow inside the storage bin and re-feeding time. The control system is in modular design and can be connected to PLC or DCS through the instrument and communication interface. We are counted amongst the recognized organization offering of premium quality Volumetric Feeders. 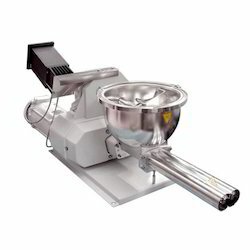 These feeders are used for feeding granules, chips, powder and dove. 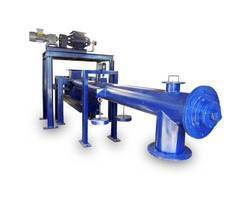 Feeders are equipped with the agitator for smooth conveying processing. 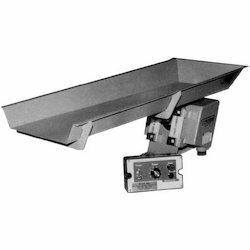 In addition, these feeders are built and developed adhering to industry standards and latest quality norms. Furthermore, our professionals opt for strict quality inspection made on the feeders to ensure flawless performance to the clients. We are reckoned as one of the prominent suppliers of Screw Weigh Feeder. Weighing of the material is done when feeder conveyor is in motion. It also controls feed rate as per the set points set by the user. VVVFD is used for varying the speed of belt / Screw drive motor. Imported strain gauge loadcells of the shear beam or S type are used. These Belt/Screw weigh feeders are used for Briquette, Sinter, Sponge iron, pellet, cement, fertilizer, Ceramic plants, where continuous raw material feed at desired flow rate is required for proper blending. Application program can be customized as per user requirements and gets integrated easily into automation process. The weighing system is dynamic in nature. Strain gauge loadcell based sensors and OPLC based electronic device used as controller. Transmit flow rate continuously to master PLC/DCS. Totalization of material is done for desired period. Transmits belt / Screw conveyor load.